The Music Startup Spotlight takes place tomorrow on the 4th Floor of the Hilton Hotel. For two energetic hours, you can meet the most exciting music startups in the world. Free drinks will also be available while you experience the fun and innovation currently happening in music. Spotlight attendees can grab a beverage and mingle with 20 different startups all focused on disrupting and breaking the molds of the music industry. 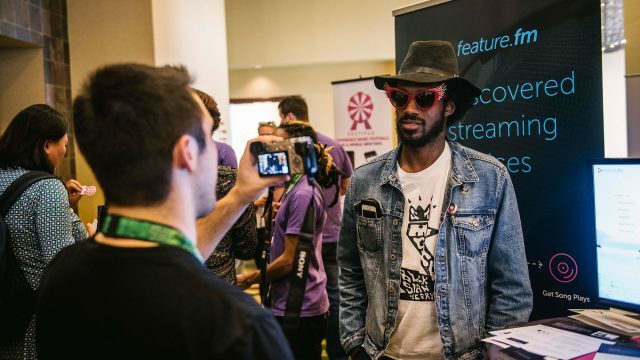 The Music Startup Spotlight coincides with the popular Startup Village programming, where VCs, entrepreneurs, and tech industry attendees will be meeting/mingling/discussing in sessions across the hall. The Music Startup Spotlight is a one-time event. Don’t miss it! Explore the Startup Village conference track.